Food Safety and Standards Authority of India (FSSAI), hereinafter referred to as 'Food Authority’is a statutory Body under M/o Health and Family Welfare. FSSAI has been created for laying down science based standards for articles of food and to regulate their manufacture, storage, distribution, sale and import to ensure availability of safe and wholesome food for human consumption to 130 crore citizens of the country. For further strengthening its core competencies. 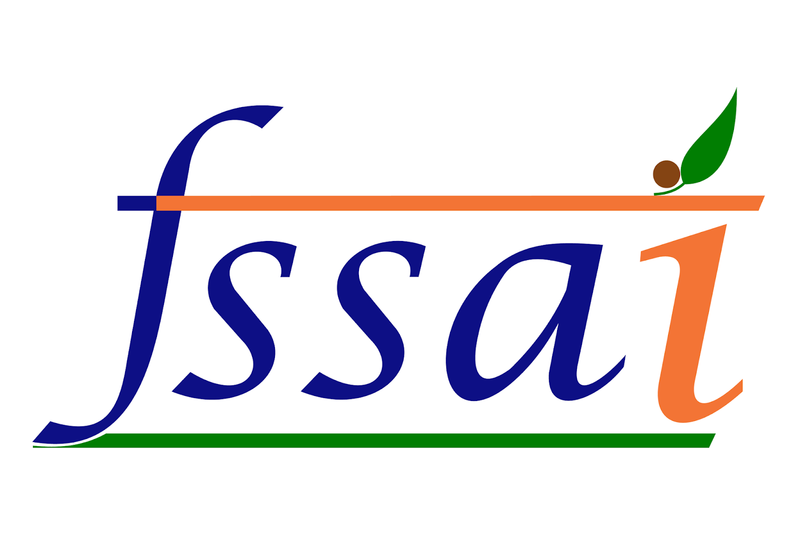 FSSAI invites applicationson direct recruitment basis from dynamic, proficient and motivated candidates looking for exciting career opportunities in Food Regulatory System and wanted to be a part of our growth journey. 1)Name of post- Assistant Director. Pay scale- Pay level 10. (b)Desirable: MBA degree from a recognised university or Institution. (c)OR (d)(b) Degree of Law from a recognised University or institution with three years experience of handling legal matters or working experience as Law Officer in a reputed Government or Autonomous body or Research Institutions or Universities or Public Sector Undertakings or Law firms. 2)Name of post- Assistant Director (Technical). (i)“Master Degree from a recognized University or Institution in Chemistry or Biochemistry or Food Technology or Food Science & Technology or Food & Nutrition or Edible Oil Technology or Microbiology or Dairy Technology or Agricultural or horticultural Sciences or Industrial Microbiology or Toxicology or Public Healthor Life Science or Biotechnology or Fruit & Vegetable Technology or Food Safety & Quality Assurance. (iii)BE or B.Tech in Food Technology or Dairy Technology or Biotechnology or Oil Technology or Food Process Engineering or Food Processing Technology or Fruit & Vegetable Technology or Food Safety & Quality Assurance or Bachelor’s degree (not less than four years duration) in Medicine or Veterinary sciences or Fisheries or Animal Sciences. (iv)Desirable qualification:-Doctorate Degree in any of the aforesaid subjects. (v) five Years relevant experience. (vi)Desirable: Graduate Aptitude Test Engineering or Council of Scientific and Industrial Research or Indian Council of Agricultural Research National Eligibility Test. 3)Name of post- Technical Officer. Pay scale- Pay level 7. Master Degree from arecognized University or Institution in Chemistry or Biochemistry or Food Technology or Food Science & Technology or Food & Nutrition or Edible Oil Technology or Microbiology or Dairy Technology or Agricultural or horticultural Sciences or Industrial Microbiology or Toxicology or Public Health or Life Science or Biotechnology or Fruit & Vegetable Technology or Food Safety & Quality Assurance. Desirable: Graduate Aptitude Test Engineering or Council of Scientific and Industrial Research or Indian Council of Agricultural ResearchNational Eligibility Test. 4)Name of post- Central Food Safety Officer. (ii)any other equivalent or recognized qualification notified by the Central Government. 5)Name of post- Administrative Officer. Pay scale- Pay level 8. Bachelor’s Degree from a recognisedUniversity or Institution; and three years’ experience in handling administration, finance, human resource development or/ and vigilance and accounts matters. Desirable: Master degree or MBA ( Personnel or Human Resource Management or Finance) or CA or CS or ICWA from a recognized university or Institution. Pay scale- Pay level 6. Educational and other qualifications- Bachelor’s Degree from a recognised University or Institution. 7)Name of post- Junior Assistant Grade-I. Pay scale- Pay level 4. Educational and other qualifications- 12th Standard or equivalent examination from a recognized Board or University. 8)Name of post- Hindi Translatorr. 9)Name of post- Personal Assistant. Bachelor’s Degree from a recognisedUniversity or Institution with proficiency in shorthand (80 WPM) and typing (40 WPM -English) and/ or (35 WPM Hindi) (ii) Should be computer literate and proficient in using MS Office and internet etc. 10)Name of post- Assistant Manager (IT). (i)B. Tech or M. Tech in Computer Science or any other relevantEngineering Discipline or MCA or Bachelor’s Degree in Relevant field. 11)Name of post- IT Assistant. Bachelor’s Degree with atleast one year PG Diploma/Degree in Computer Application or Information Technologyor equivalentdegree in relevant field. Bachelor’s Degreein Computer Applicationor equivalent degree in relevant field. 12)Name of post- Deputy Manager. i) Post Graduate Degree or Diploma (Full Time courses) in journalism or Mass communication or Public Relation or MBA with specialization in Marketing from a recognized university or Institute OR Post Graduate Degree or Diplomain Social Work or psychology or Labour and Social Welfare from a recognized university or Institute. 13)Name of post- Assistant Manager. (ii)Two years professional experience in a Library under Central or State Govt. or Autonomousor Statutory Organisation or Public Sector Undertaking or University. Payment mode- The payment can be made by using Debit Cards (RuPay/Visa/MasterCard/Maestro), Credit Cards, Internet Banking, IMPS, Cash Cards/ Mobile Wallets by providing information as asked on the screen. How to apply- Interested and eligible candidates may apply online through Food Safety and Standards Authority of India (FSSAI) website - www-fssai.gov-in/ from 26.03.2019 to 25.04.2019. Last Datefor Online Application- 25.04.2019.